Our doors are finished with the longest lasting powder coating which protects against scratches and colour fading for 25 years and avoids the need for periodic painting and maintenance. 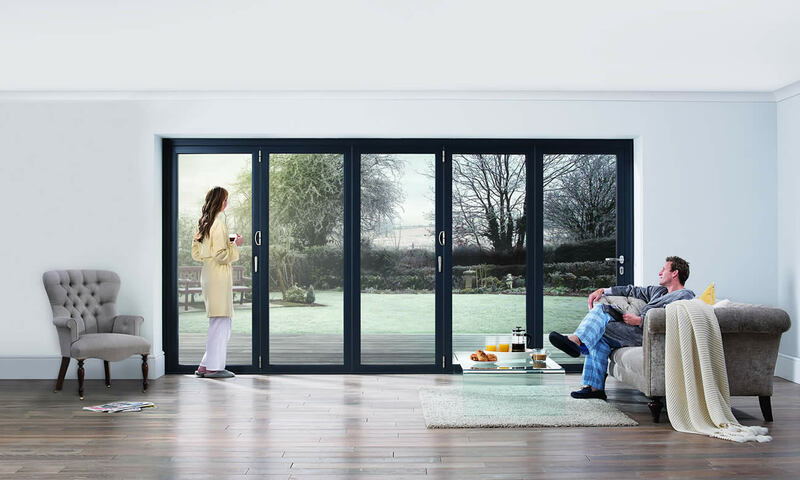 Our bi-folding doors offer superior thermal efficiency, ensuring minimal transfer of heat, keeping the cold weather outside and the heat inside. All of the doors surpass current U-Value requirements set by Building Regulations. Free Glide System. The bottom of each door section has its own long wheelbase carriage with four wheels concealed inside a low threshold base track. Folding Doors Direct Ireland are the only system to offer seven different coloured weather seals to co-ordinate with our most popular frame finishes. Each door comes with a ‘finger safe’ seal ensuring that even when the doors are closing and in their closed state, there is no way that little fingers will get trapped. 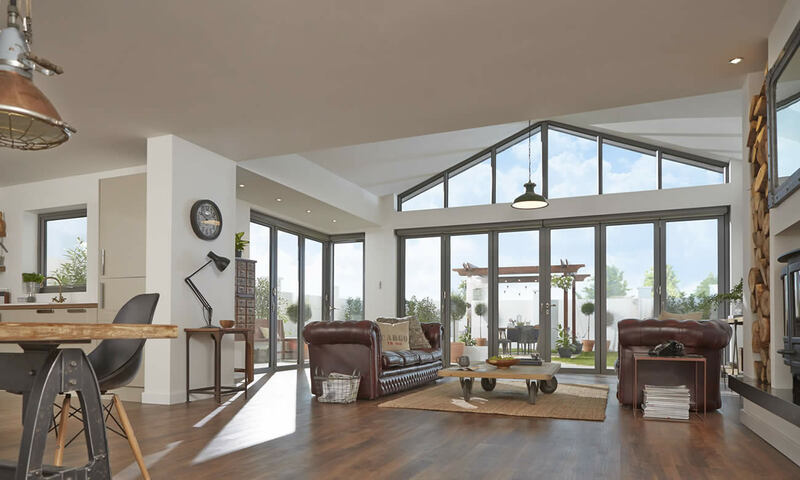 Aluminium is the ideal material for bi-fold doors as it is lightweight and strong. 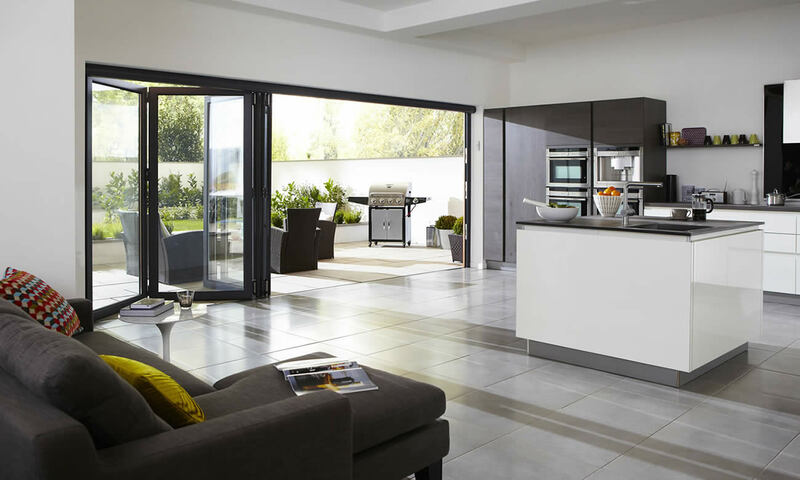 Our bi-folding doors are designed with an ultra slim aluminium frame which delivers more light and better views. Enjoy your folding doors without the worry of complicated or time consuming maintenance. The occasional wipe down with hot soapy water is all that is required to keep your doors looking like new. With security being one of our top priorities, we use an 8 point locking system, by Yale, conforms to demanding, police preferred ‘Secured By Design’ standards. We include the most advanced weather tight seals and the locking mechanisms ensure maximum compression for increased weather resistance. Every bi-fold sweeps away the boundaries between the inside and outside of your home. Low threshold designs allow for equal floor finishes inside and out. Enter your email address to receive our brochure! We are recommended by the award winning Origin Frames to install their folding sliding doors in Ireland. All of our fitters have received extensive training by Origin on how to install each door perfectly. We are happy to work alongside your builder or architect to make sure the journey runs as smoothly as possible. As bi-fold door specialists we like to take all the measurements ourselves whilst communicating with yourself to make sure you get exactly what you would like. The aluminium bi-folding doors we supply were winners at the 2012 Build It Awards. They won the award for 'Best Glazed Product'. The judges were particularly impressed with the customer orientated attitude and the fantastic 20 year guarantee. We were very happy when the product beat many competitors to the award. 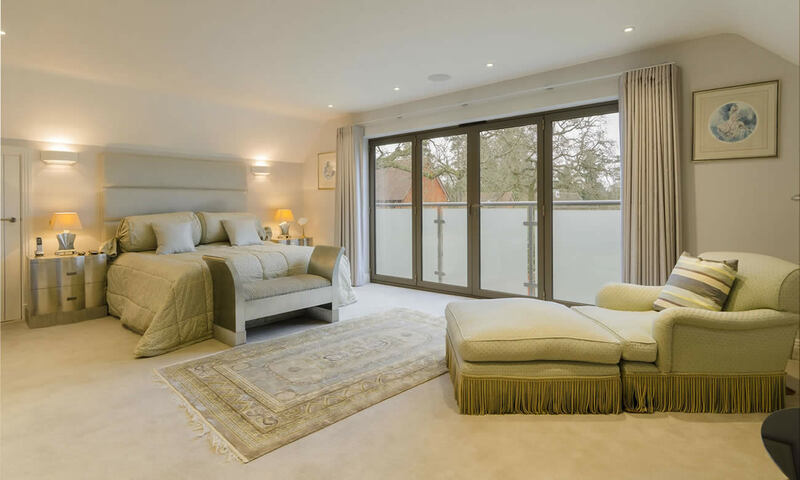 It is a true reflection of the quality our bi-fold doors adhere to. All the bi-fold doors we supply come with a 20 year manufacturer's guarantee which is double the industry standard. We believe in giving you the very best product with superior customer service which is why we give you peace of mind for 2 decades. In the unlikely event of a mishap by us, the problem will be solved for free. We keep track of our installations by using a serial plate on each set of doors that allows us to quickly retrieve the details we need.